Email quotes directly to your customers. Win more jobs by delivering quotes to your customers faster than the shop down the street. Create orders from scratch or convert from a quote. Generate work orders with every detail you need – size breakdowns, colors, setups, locations, stitch counts, ink colors. Stop reprints and errors in their tracks. Get paid faster – email invoices directly to your customer with a link for them to pay the balance. Check your Collections dashboard to see who owes you money. Send statements and follow-ups to ensure you collect your money. Send your closed invoices and payments to accounting with our seamless Quickbooks and Xero integrations. Don’t waste time manually entering pricing for 1,000s of different t-shirts and garments. 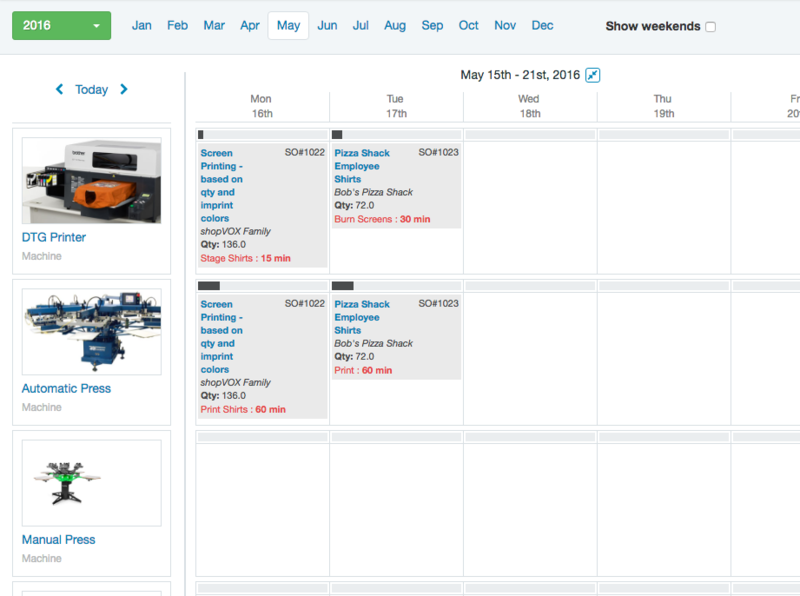 Your favorite suppliers’ product catalogs are integrated right into shopVOX. Set up pricing matrices for screen printing, direct to garment, embroidery. No more manual pricing mistakes. Highly configurable pricing tools let you price products/services the way you want. Grid-based pricing is fully supported. Price your screenprinting based on quantities and number of imprint colors. Price your embroidery based on quantities and number of stitches. Add any type of setup charges, digitizing fees, rush charges. Import your best-selling garments into shopVOX through spreadsheet. Finally a CRM that doesn���������������������������������������������������������t get in your way. Manage your incoming leads with simple, easy to use dashboards. When your customer calls for those t-shirts, quickly create a new lead and add the details. Attach any assets to a lead (customer logos, images, spreadsheets, forms, or more). Assign your rep to follow up — you’ll receive follow up reminders to ensure that no lead falls through the cracks. 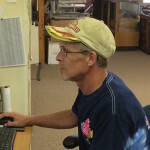 “With shopVOX, I feel back in control of the shop. You'll never be any less busy than you are today! No contracts, no upfront fees, no risks! In shopVOX you are able to allocate an amount of time to your staff and machinery. That way when they are booked producing jobs, you can get a good of idea of what you can squeeze in or rearrange to meet production deadlines. 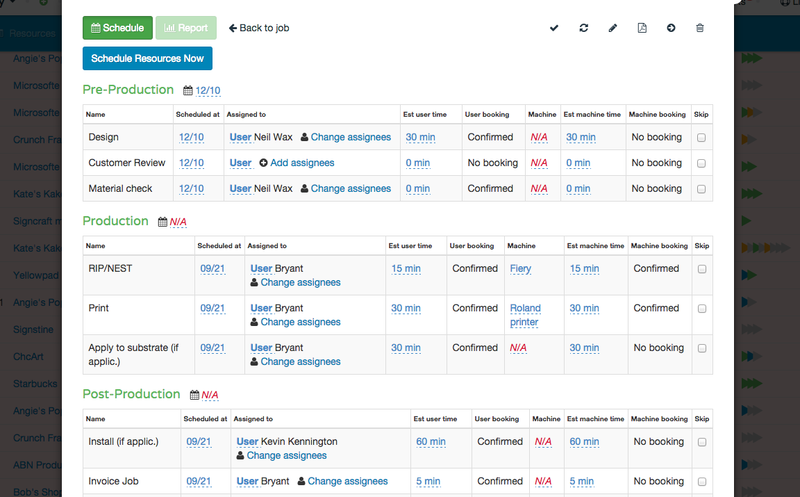 Take the hassle out of scheduling. Put an end to costly meetings and constant back and forth. Assign and schedule employees to steps on your jobs. Schedule which job goes on which press or machine. Each employee has a dashboard that lists tasks specific to them. Automatically send them an email with their schedule every morning. Easily track all your jobs with our Electronic Job Boards. No more paper job tickets or messy dry erase boards. Get the birds-eye view or drill down to get the detail you need. Want to see all jobs need to ship tomorrow? Easily done is less than 10 seconds. Want to see everything currently on press? No problem. Want to check status on that VIP customer’s order? No time at all. End the confusion and take proofing out of your inbox. 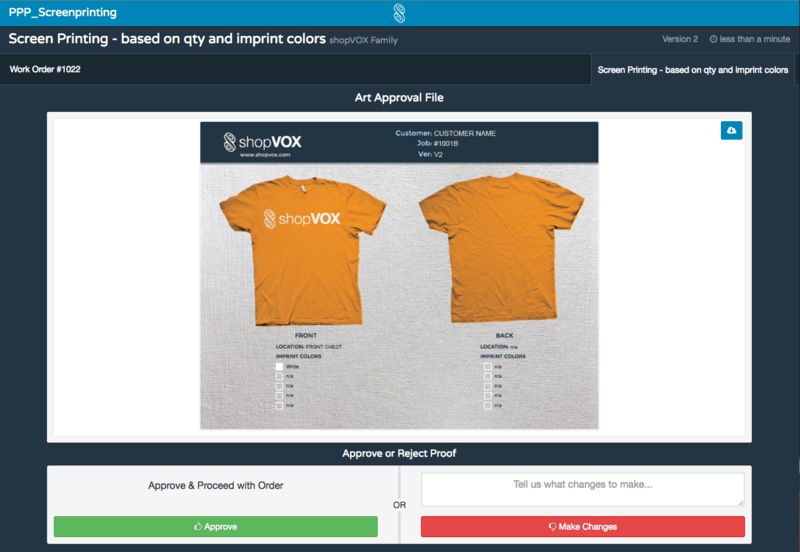 Upload your t-shirt proofs to shopVOX. Then send to your customer with one click. Your customer quickly approves the proof or tells you what changes they’d like to make. shopVOX will automatically update the job status for you, and even send notifications to your designer. We’ve all been there – a team member makes a preventable mistake that costs you big. Put an end to those. Your workflow templates track production on your jobs – the blueprints for producing on time. That order you just got for 120 screen-printed shirts is different from the order for embroidering 2 dozen polos. You should track them separately. Workflow templates allow you track every step of your job, schedule your employees and machines, and ensure you deliver on time. Reduce mistakes by following the same repeatable process for similar jobs. Stop jobs from falling through the cracks! Nothing helps an entrepreneur better than the data from their business. Always be aware of what’s happening without even pulling a fancy report. Visual dashboards for customers, business intelligence, jobs and more. Company wide and user based. Pull your own data – custom reporting is also available. Set up user roles to control who has access to what information and features in your account. Send notifications via push or email for the different events that happen inside shopVOX. Mobile Friendly – Works on Tablets, Smartphones, and Laptops. shopVOX uses responsive design – which means the app looks great on all your devices. The app layout changes automatically to fit the size of your screen — whether it’s your 27in monitor or your shiny new iPhone. Get your work done – wherever you’re at. No software to install or IT guys needed. No more hardware USB keys to lose, long license key numbers to keep, upgraded versions to pay for, or hours wasted installing. We manage everything so you get back to what you do best – selling signs, shirts, or prints. Dig out of the pile of paperwork! Does shopVOX work outside the USA? 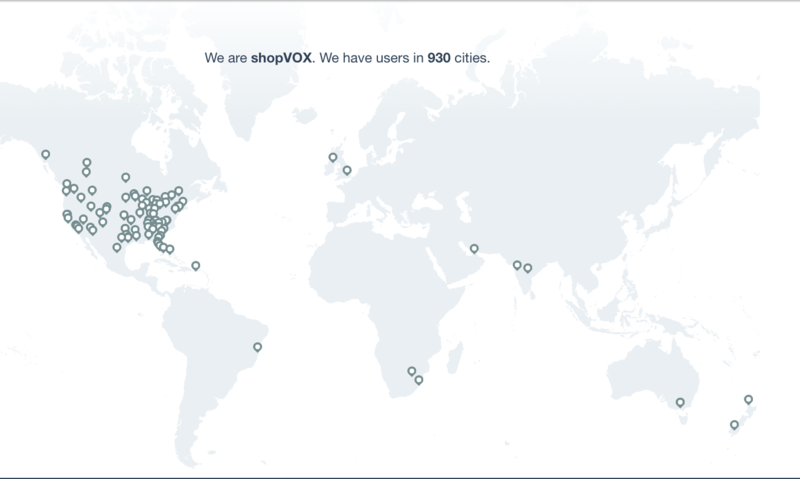 Yes, ShopVox is built for the whole world. Anyone anywhere in the world can use it. Yes, Yes 15 day trial, go ahead take it for a spin. We guarantee you will love it. No Credit Card required for Free Trials & no obligations. You can take the EXPRESS Plan Free Trial immediately. For the other two plans, you can register now and reserve your Free Trial. You will be notified 3 days before your trial expires. Just convert to a paid subscription plan of your choice (Express or Pro or Premier) and you can keep going as long as you like with the monthly subscription. No problem. No hay problema. Pas de problème. Sem problemas. 没问题. We’ve support clients around the world – Canada, Mexico, Puerto Rico, China, France, U.K., Brazil, Australia, South Africa, New Zealand. Ever lose a job ticket? Not anymore.